Disclosure: Sponsored by Mirum Shopper, as always, all opinions are my own. Thank you for supporting the brands that support ClassyMommy.com. Tis the season! 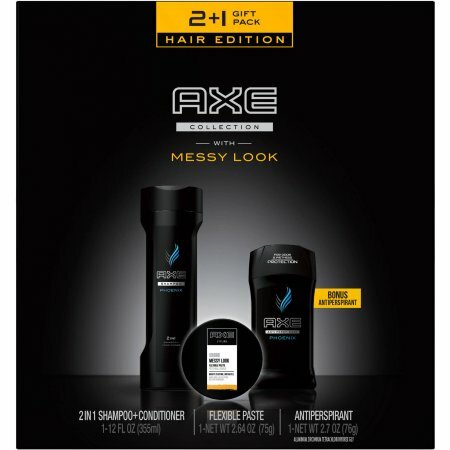 If your scrambling like me for some last minute gifts for the guys in your life, you’ll love the fabulous AXE holiday gift sets sold at Walmart right now. So convenient, stylish looking, loved by the guys and easy on my wallet too — and right now they’ve got a fabulous sweepstakes that will be music to your ears! Calling all music fans! Love this promotion happening right now with AXE for a chance to win a VIP experience with the AXE Stage Platinum Concert pass for you – and 3 friends! Entering it SO easy and bonus there are lots of other prizes too! Seriously, just sign up online at www.axeplatinumpass.com and BOOM you’re entered. Nice! When you register, you’re automatically entered for a chance to win a 3 day, 2 night trip for you and THREE friends to see a concert of a top, must-see artist, PLUS other exciting prizes like a Shawn Mendes ILLUMINATE digital album, and AXE products too! Who would you go see if you won??? Until then, check out Walmart.com/axe as AXE and Walmart teamed up to showcase some fabulous exclusive interviews and concert footage from musical stars like Nick Jonas,Jason Aldean, Luke Bryan and many more. Enter to win at www.axeplatinumpass.com. Open only to legal residents of the 50 US/DC who are at least 13 years or older. Sweepstakes begins at 12:00 PM ET on 9/29/16 and ends at 11:59:59 PM ET on 12/30/16. Promotion consists of an Instant Win Game and a Grand Prize Sweepstakes. I’d sure love to win that Platinum Pass Prizing for a getaway for me and friends to see a live performance but there are all kinds of other prizes so lots of chances for people to win something too. Full scoop on prizing is below. 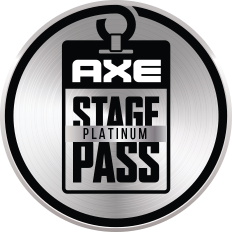 - An AXE Platinum Pass to see a future live performance including a 3-day, 2-night trip for you and three guests. Simply enter here – it only takes a minute. If you need a last minute holiday gift pack for the guys in your life -, you’ll love the convenient AXE gift sets at your local Walmart. Look at all the varieties to choose from! Perfect for your boyfriends, brothers, fathers, guy friends and husbands! What would your guys love best? I love that there are so many various combo gift sets so you can find just the right AXE goodies for whatever kinda guy you need to buy for. Browse all the fun backstage interviews and inside scoop here. And don’t forget to register to enter for a chance to win! Note: This post is sponsored by Mirum Shopper. Opinions are 100% my own.